These products are produced by us in small batches to ensure product consistency and quality. 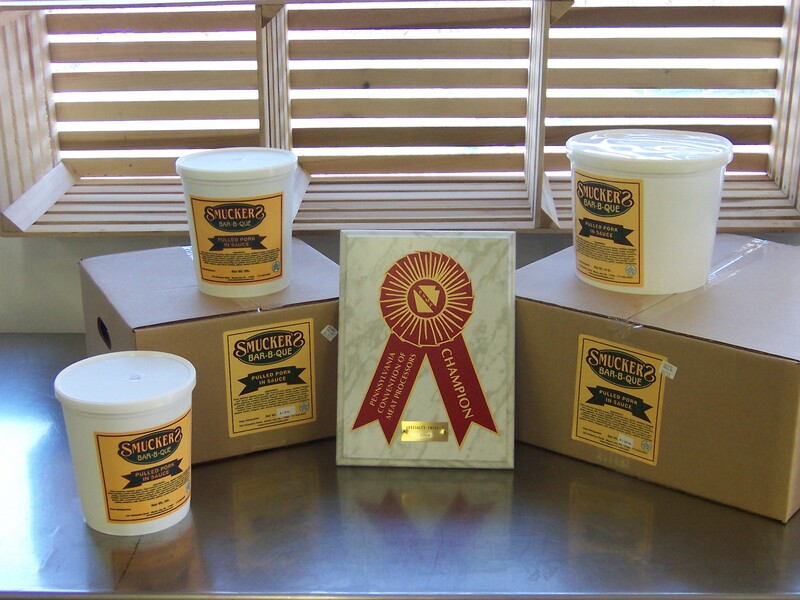 Our BBQ products can be found at various locations throughout Lancaster county and the surrounding area. If you are interested in carrying our products and would like more information, we recommend contacting the following distributors for current pricing and delivery options. If you are outside of the service area of these distributors, we can arrange shipping through a refrigerated carrier, but certain minimums will need to be met and shipping costs will be the responsibility of the receiving party.